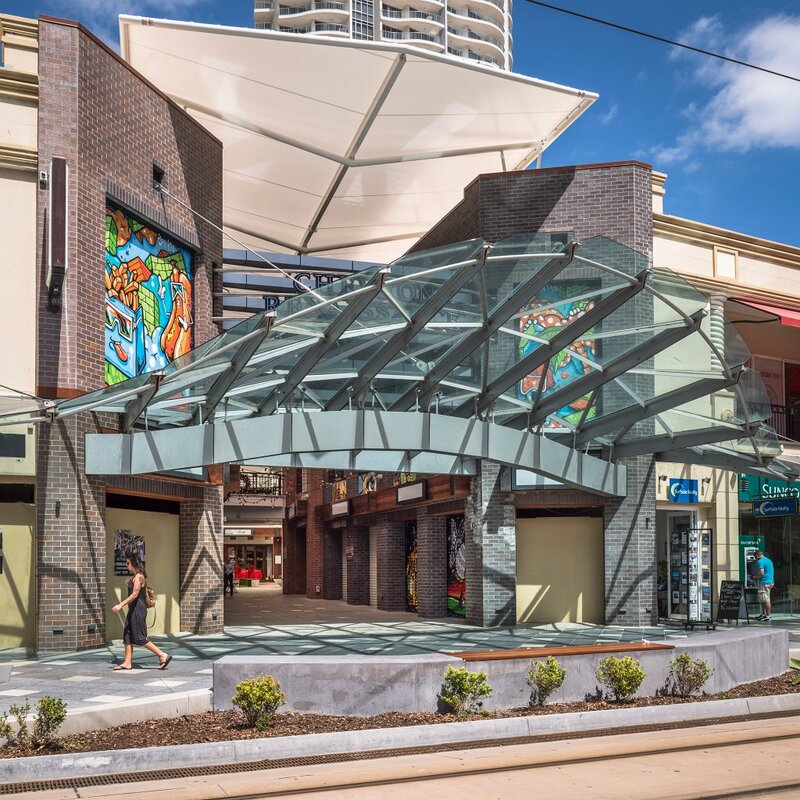 Reinventing and refreshing the plaza of the existing shopping centre and creation of new dining and retail experiences while improving the commercial viability of the centre, within a limited budget, were the driving forces for our client. Also challenging arkitektika was the need to reposition the existing shopping centre commercially in the evolving community of both local residents and tourists. Arkitektika stripped back over a decades worth of aging elements as well as tenant and landlord accretions to reveal the original strong, themed architecture of the plaza and work within that context and framework with our architectural interventions and insertions. 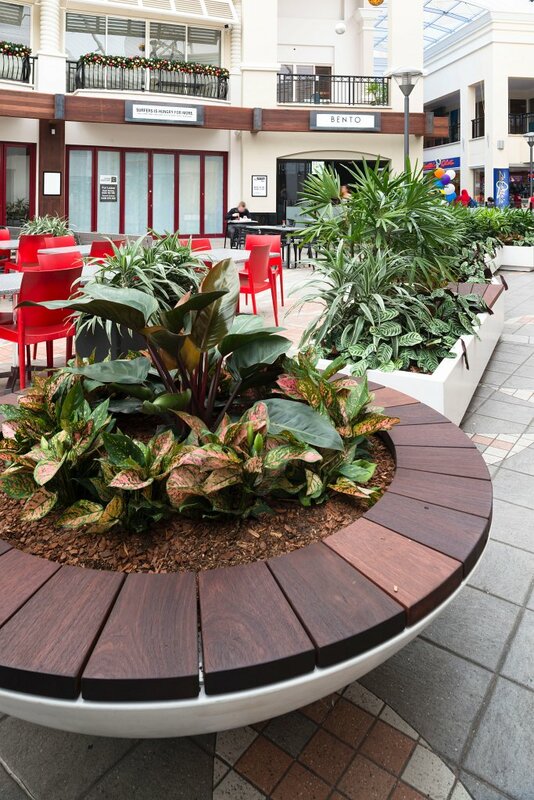 Redefining the historical “Chevron Walk” that meandered through the site in the original Chevron Hotel development allowed reconnection between the pedestrian areas and restaurant tenancies, improving their accessibility and visibility. 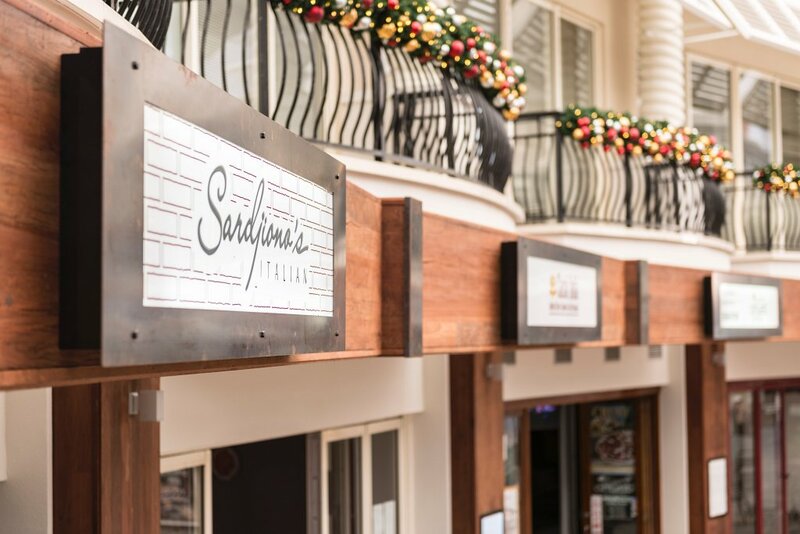 Oversized recycled timber beams and columns in a shallow colonnade evoke imagery of Italian Ristorante and Trattoria, and with contemporary detailing in Corten steel, complement the existing theme of the original development. Retasking the original fountain into a new tenancy reduced the water and power consumption of the plaza and removed the source of excessive noise in the plaza, as well as increased the lettable area improving the commercial viability. 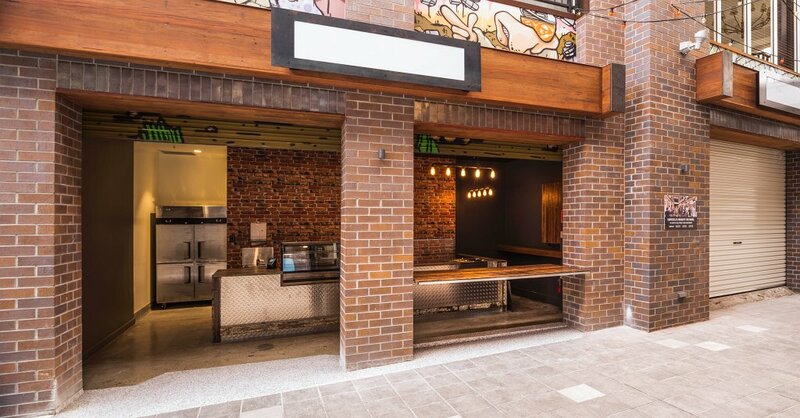 Arkitektika reinvented the under-utilised and underperforming area connecting the plaza eastwards to Surfers Paradise Boulevard as a “laneway” to provide a fresh and contemporary street food dining experience unlike any available on the Gold Coast. Defining each of the elements as “buildings” through the use of a palette of contemporary bricks creates the contemporary interpretation of a laneway in old city. 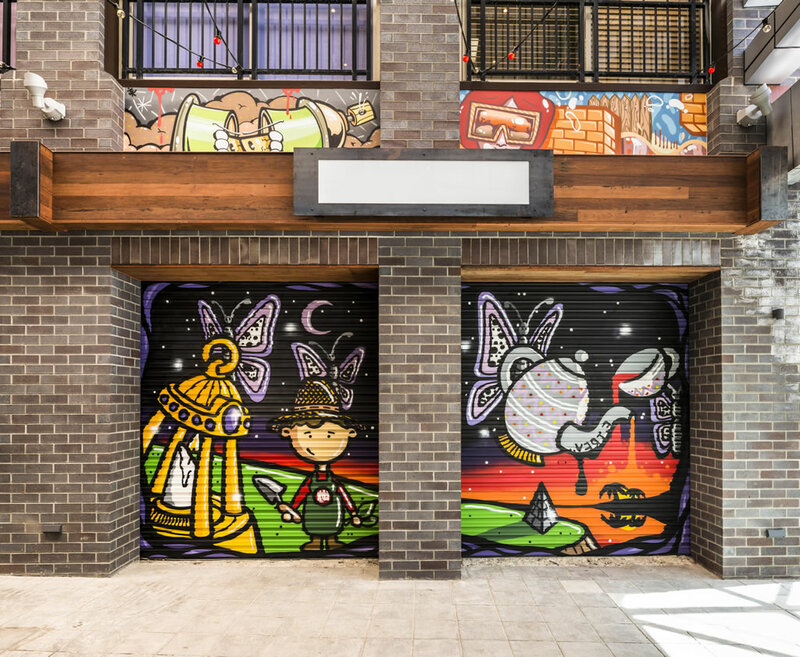 Connecting to the changing demographic, as well as tenants and users expectations alike, the laneway provides a much-needed diversity in experiences lacking from the centre. The recycled beams and Corten steel reinforce the laneways industrial typology while visually connecting to the same detailing used in the plaza. 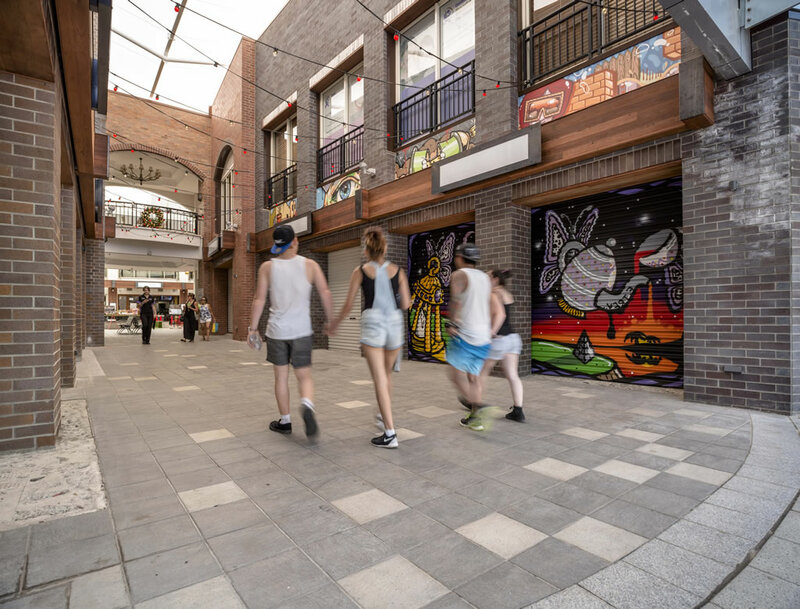 Street-art was commissioned for major panels fronting Surfers Paradise Boulevard, theming of individual tenancy roller-shutters, and individual panels to reinforce the street-food laneway precinct. 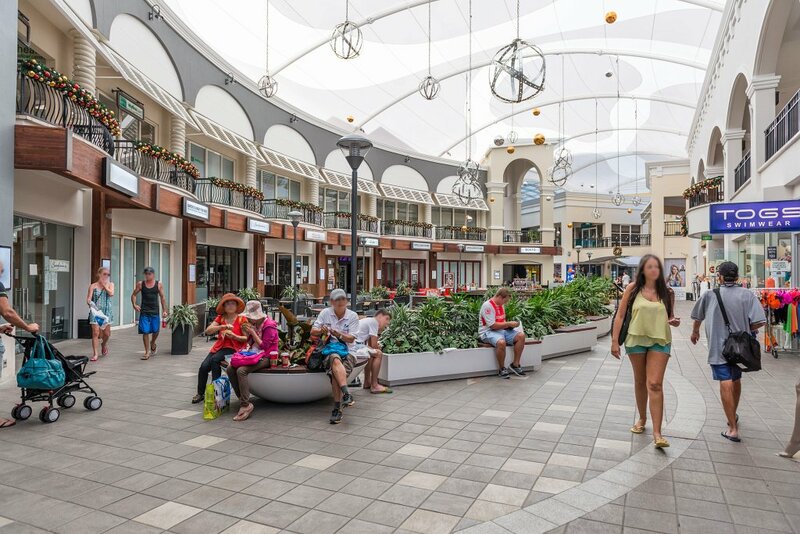 Reconnecting the shopping centre to the site history, in addition to the reintroduction of the “Chevron Walk”, the “chevron” motif is incorporated and reinforced with the laneway roof and louvre blades, reminders of the Chevron petrol station with it’s chevron or butterfly roof that previously occupied that part of the site. 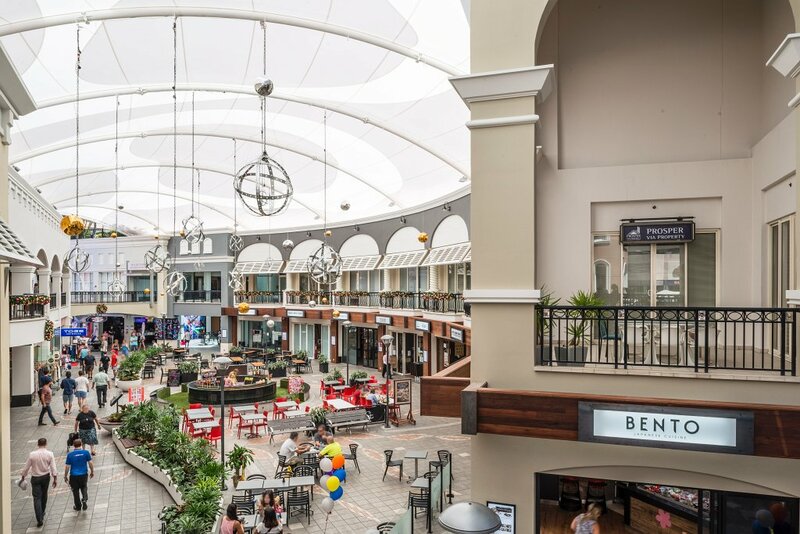 Improved commercial performance of the shopping centre was achieved through increased lettable area as well as reconfiguration of tenancies to provide better opportunities more suitable to the changing needs and repositioning of the shopping centre.